Devon Cars understands how frustrating and inconvenient it can be if you have booked a Taxi only to find it cannot accommodate your wheelchair. 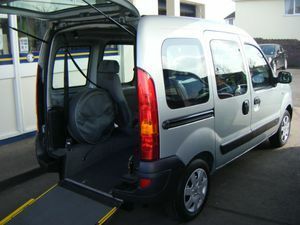 The aim of Devon Cars is to make life easier for you, the wheelchair user, by providing for your transport needs. From simple trips to the supermarket when you need a Taxi in North London to help you get around, to major journeys such as an airport transfer service - Devon Cars can always be relied upon. Please mention, when booking your Taxi, that you require wheelchair access - and prepare to be impressed with the service Devon Cars provides to you. Often wheelchair and disabled Taxi customers have different and specific requirements. Please do discuss your requirements with Devon Cars prior to travel so we can maximise our service to you.